Learn about the archaeology of the Cave Creek/Spur Cross area through hikes, booths, gold panning, pottery making, guest speakers and live demonstrations. This is an Arizona SCITECH Festival Signature Event. Booths from Desert Foothills Chapter of AAS, the Cave Creek Museum, Desert Awareness Group, Desert Foothills Land Trust, Verde Valley Archaeology Center, Animal Health Services, and Liberty Wildlife. Retired Tonto National Forest archaeologist, J.Scott Wood is speaking at 1:00 PM. Childrens activities and crafts, plus the opportunity of view and hold prehistoric artifacts from the area. Come help celebrate Arizona Archaeology Month. Bring the whole family and have fun while learning about this beautiful state. 9:00 AM, FIRST MESA HIKE: Join archaeologist Mark Hackbarth hiking to prehistoric Hohokam dwellings on First Mesa. Desert Awareness Committee expert joins hike to explain local desert plant environment. This is a moderate 2.5 mile hike with some uphill walking. Allow a minimum of 2 hours. 9:30 and 11:00 AM, JEWEL OF THE CREEK HIKE: Join the Desert Foothills Land Trust staff and docents on a journey through history at the Jewel and its unique geological formations. This is 1.0 mile hike with a steep rocky trail down to the creek and requires crossing the creek twice with another rocky steep climb back to the top. Allow a minimum of 1.5 hours. 10:30 AM, ROCK ART OF SPUR CROSS HIKE: This is a fun and moderate hike. These petroglyphs were created hundreds of years ago by Hohokam influenced people. Some walking on loose gravel and traversing over the creek twice is necessary. Hike to see to desert scenery and some of Spur Cross's petrogylphs. Allow a minimum of 1.5 hours. 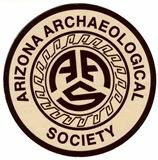 1:00 PM, SPEAKER: J. Scott Wood, retired Forest Archaeologist - Heritage Program Manager of the Tonto National Forest, for his talk on the prehistory of the foothills area and how it relates to both the Salt River Valley and Perry Mesa.